【Summary】Chipmaker NVIDIA and Continental, one of the world’s largest automotive technology companies, have announced they are partnering to create an entire AI self-driving vehicle system, built on the NVIDIA DRIVE platform, with a planned market introduction starting in 2021. The partnerships between tech companies and automotive companies continues to multiply as AI, deep learning, HD mapping, lidar and other technologies become necessary to realize fully autonomous cars. Automotive companies have turned to tech companies such as NVIDIA to integrate these technologies for use in self-driving cars. Chipmaker NVIDIA and Continental, one of the world's largest automotive technology companies, have announced they are partnering to create an entire AI self-driving vehicle system, built on the NVIDIA DRIVE platform, with a planned market introduction starting in 2021. The partnership will enable the production of AI computer systems that scale from Level 2 autonomous features which require some human input, through full Level 5 self-driving capabilities, where the vehicle has no steering wheel or pedals. AI allows vehicles to respond to variation and complexity in the driving environment. It facilitates the creation of HD maps, and plans a driving path for a autonomous vehicle in response to real-time mapping and environmental data. AI can also assist people inside the vehicle, detecting natural language commands and learning personal preferences to ensure both a safe and enjoyable ride. Dedicated engineering teams from each company will work together to develop self-driving solutions based on the NVIDIA DRIVE platform — which includes NVIDIA DRIVE Xavier, the world's highest performance system-on-a-chip, as well as the NVIDIA DRIVE OS (operating system) and DRIVE AV (autonomous vehicle) software stacks. The solutions will utilize Continental's experience in system and software engineering for ASIL-D rated safety — the highest rating level — and integrate a range of Continental sensor technologies, including radar, camera and high-resolution 3D lidar. "The vehicle of the future will be a sensing, planning and acting computer on wheels. The complexity of autonomous driving requires nothing less than the full computational horsepower of an AI supercomputer," said Dr. Elmar Degenhart, CEO of Continental. "Together with the performance and flexibility of NVIDIA's AI self-driving solution, from the cloud to the car we will achieve new levels of safety, comfort and personalization for future vehicles." "We now have all the key elements in place to take AI self-driving cars from development to mass production," said Jensen Huang, founder and CEO of NVIDIA. "Our newly arrived DRIVE Xavier processor, extensive NVIDIA DRIVE software, and cloud-to-car approach for testing, validation and functional safety, combined with Continental's expertise and global reach, will bring autonomous cars to the world." Acting as the the brain of the Continental system, NVIDIA DRIVE Xavier can deliver 30 TOPS (trillion operations per second) for deep learning, while consuming just 30 watts of energy. This level of performance is necessary to handle the massive amount of data processing that self-driving vehicles must perform. These include running deep neural networks to sense surroundings, understand the environment, localize the vehicle on an HD map, predict the behavior and position of other objects, compute vehicle dynamics, and plan a safe path forward. 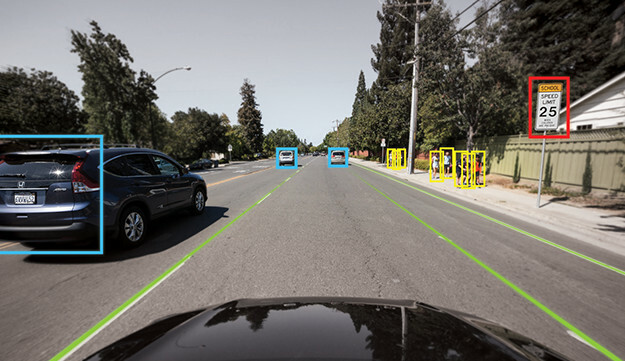 Continental's expertise in advanced driver assistance systems (ADAS) integrates multi-function cameras, fish-eye cameras with surround view, short-and long-range radar sensors, high-resolution 3D lidar technologies, as well as central control units for assisted and automated driving. In 2016, Continental's sales of advanced driver assistance systems exceeded $1 billion and the company expects it to grow to $3 billion by 2020. 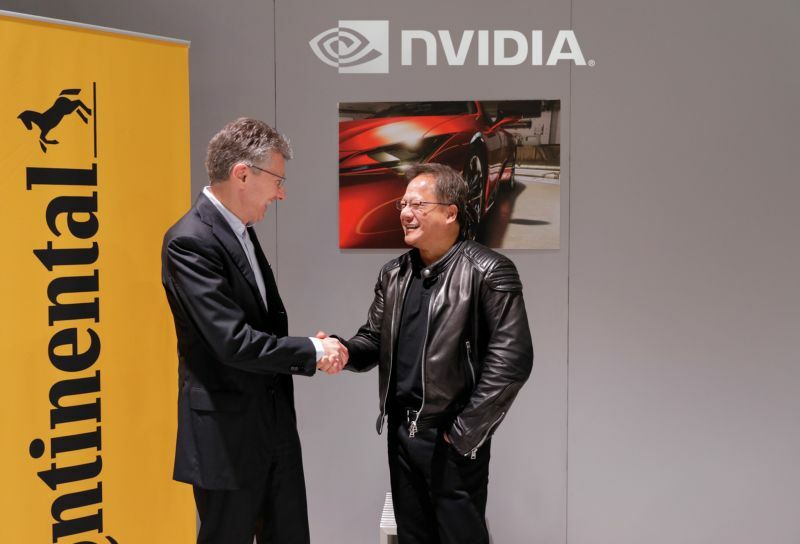 "Partnering with NVIDIA will enable Continental to advance beyond its leadership position in advanced driver assistance systems, delivering a scalable range of automated and autonomous vehicle systems, from today's NCAP requirements up to Level 5," said Luca De Ambroggi, research and analyst director at market research firm IHS Markit. Some of the other companies working with NVIDIA on automotive technology include, Toyota, Mercedes Benz, Baidu and Volvo.